In 2001, Debbie Simone joined the Blackwood Fire Company Auxiliary and over the years has served as Secretary and now President for the past 15 years. She organizes various community events such as National Night Out and the Pumpkin Festival, and the Fire Company Christmas Parade. Over the years, she has become involved with other organizations including the Unforgotten Haven, American Cancer Society, Susan G. Komen, and St. Baldricks. The St. Baldricks organization has a special place in Debbie’s heart. St. Baldricks raises money for pediatric cancer research. 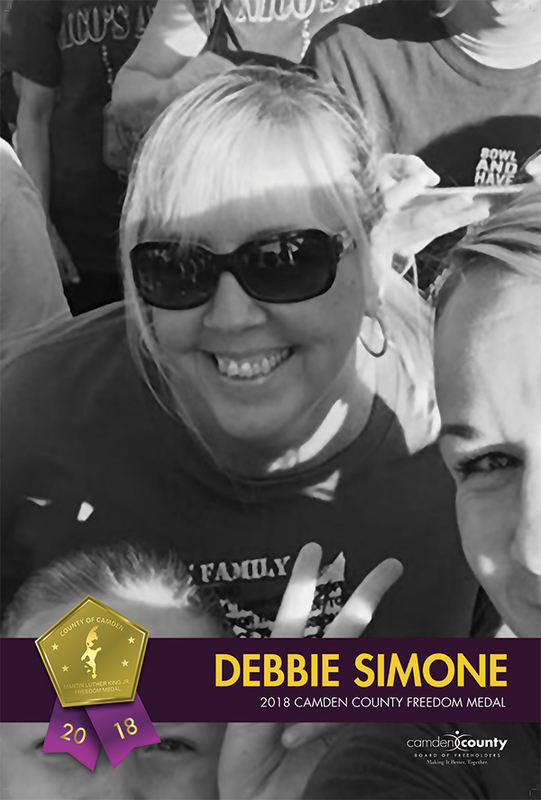 There are local children that fight all different forms of cancer – Debbie uses that as her driving force and has managed to raise over $180,000 for the organization in the last 5 years. Debbie has been married to Peter for 19 years and together they have 7 children and 6 grandchildren with one more on the way. Debbie is from Gloucester Township.